A network is defined as a system of interconnected computers. It can be any set of interlinking lines resembling a net, a network of roads, and a network of alliances. These networks have avenues of being breached and must have maintained network security as basic safety measures. 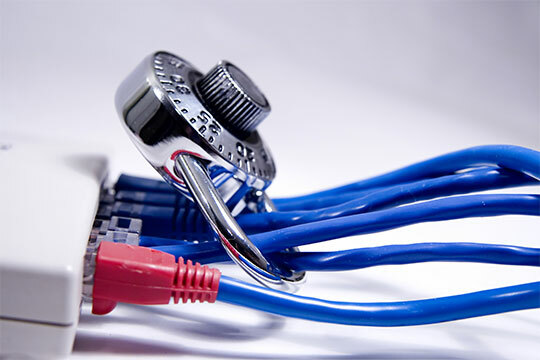 Network Security refers to an activity of protecting the usability and integrity of your network and data. It consists of hardware and software technologies. A strong network security manages access to the Internet and system. It is a complex subject, and it needs to be maintained by will trained and experienced experts. Each network security layer implements policies. Network security combines various aspects of defenses on the wall of a network. Unauthorized access can be a big part of different attacks. They want to attack your server to get some resource, which you should not provide it. That’s might a big problem if someone accesses your system and gets confidential information. Nowadays, a lot of information stored electronically such as financial, personal, medical, and private contact on the Internet. Anyone who accesses something from your account without your authorization is unethical and illegal. There are several privacy requirements we must follow such as Health Insurance Portability and Accountability Act (HIPAA) and Family Educational Rights and Privacy Act (FERPA). The most important thing is to prevent the unauthorized dissemination of user’s information. Here are some network security tips. Firewalls are easy to understand. They are literally a barrier between your trusted internal networks and untrusted outside networks. Usually, the internet is not the reliable access network for the first time. A firewall could be hardware, software. Firewalls include application gateways, packet filtering, and hybrid systems. VPN refers to a virtual private network encrypts the connection from an endpoint to a network, usually, it will go over that Internet. Generally, a remote-access VPN utilize Secure Sockets Layer to authenticate the connection between equipment and network. Email security is the NO.1 threat, to some extent, for security department. Attackers may use personal private information and social engineering tactics to send users some useless advertisements. An email security application should block income attacks and manages outbound messages to prevent the possible loss. Mobile apps are increasing targets on all of the people. In the next several years, 90 percent of IT organizations may focus on supporting applications on personal mobile devices. This part will be popular and complicated to manage because you need to control what kind of devices can access your network. An effective web security will control your staff’s usage of the web, avoid web-based threats, and deny access to malicious websites. Web security will protect your web gateway on-site or in the cloud. It also means to the measures to protect your own website. When it comes to wireless security, people always think about Wi-Fi. Actually, wireless networks are not as secure as wire ones. It is dangerous and can be visible everywhere without stringent security methods. To prevent an exploit from taking hold, it is better to prepare specifically designed products to protect a wireless network. Network security is a very difficult topic. Everyone may hold the different view of security, and what risk level are acceptable. The importance of understanding network security is to define what security means to your company or organizations. After you identify it, everything that goes with on the network can be estimated by the policy. We should pay attention to network security, and only we cooperate, use intelligent policy, and come up with consistent practices, it will be achievable.